Living in a cosmopolitan city means that most of us are spending long hours in air-conditioned rooms or buildings the entire day. But it is always a refreshing change to be outdoors with the fresh air and natural breeze. This is why restaurants that offer al fresco dining areas are getting more and more popular. Some of these restaurants offer sky-high views while others boast magnificent views of lush greenery. Sentosa has a myriad of different restaurants and cuisine types for the whole family. A fun day at the beach includes dining at one of the many F&B establishments within the island, and the options range from luxurious restaurants to casual beach eateries. Amidst all the laughter and fun, the thought of where to grab a good meal in Sentosa has probably crossed your mind. Contrary to most expectations, the island of Sentosa is filled with plenty of good eats from a range of different cuisines; you will never be bored! There are so many cafes and restaurants in Sentosa that will be worth travelling all the way into the heart of the island for. Whether you head down as a family or with friends, you will find a restaurant that suits you. 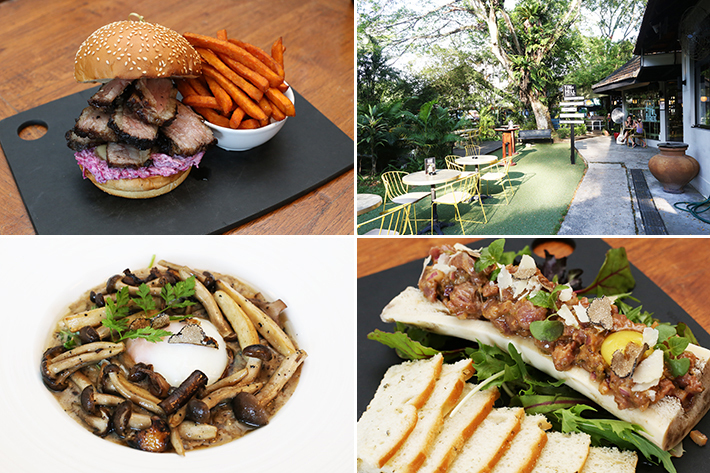 Here are 9 Cafes & Restaurants In Sentosa You Must Check Out. Located in the vicinity of horse stables at Turf Club Road, Tin Hill Social serves as a great hang-out spot to kick back with good food and drinks. The food, in general, is pretty hearty with meats and heavier sharing items, and a selection of alcoholic beverages from wines to cocktails. Tucked away on Singapore’s Sentosa Island, Resorts World Sentosa is a hot spot for both tourists and locals. Well known for its theme parks, aquarium and some say hotels, Resorts World Sentosa is also home to some hidden gems – a range of over 50 dining options that caters to many palates and occasions. You can find just about anything here – from contemporary Japanese cuisine to authentic Italian fare, simple Malaysian hawker dishes to exquisite Michelin-quality French fine dining. We worked our way through this treasure trove for gourmands and bring you our 6 Incredible Dining Options in Resorts World Sentosa For Every Occasion. Getting to the Resort. Visitors can take the RWS8 bus from outside VivoCity; stop at Waterfront Station if taking the Sentosa Express monorail; or you can simply drive in to park your vehicle at the massive underground car park at Resorts World Sentosa. And everyone should sign up to be an RWS Invites member, because you get to enjoy up to 20% off your meals at all the F&B establishments within the resort! Readers of ladyironchef can sign up for RWS Invites Silver Membership at a special rate of S$135 (U.P. S$150) and get S$200 Resorts World Sentosa dining vouchers by using Promotion Code “R0516LADY” from now till 05 June 2016. Sign up at https://rwsinvites.rwsentosa.com/PromoSignup.aspx. Xperience sits within the luxurious Sofitel So Singapore which is strategically located in the Central Business District (CBD) of Singapore. 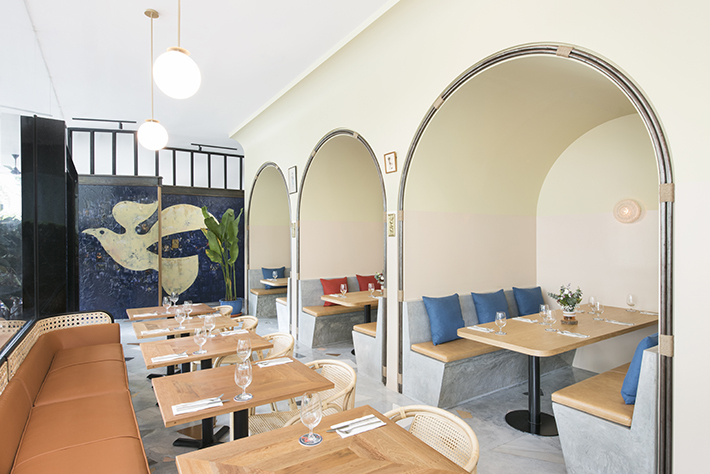 The modern European restaurant is helmed by one of Singapore’s youngest and most charming executive chef, Trevor Paulo, who has a flair for recreating western classics with interesting local twists that has surely captured our hearts. Chef Trevor Paulo’s unique culinary creations have successfully pushed the boundaries of traditional French cuisine, where his dishes have impressed even reputable 3-Michelin Starred Chefs such as Chef Christophe Muller and Chef Hideaki Matsuo. Despite all the glorious achievements, Chef Trevor remains down-to-earth and enjoys interacting with all his guests. The next time you are in the CBD or need some surprises in your life, head down to Sofitel So Singapore’s Xperience Restaurant to experience Chef Trevor’s new menu. You will be in for a great time, we promise.